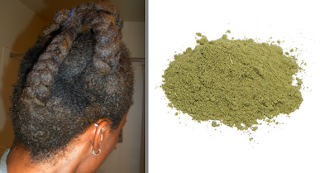 DISCLAIMER: If you are new to using henna, please do your research before trying it. This is particularly true if your hair is color/chemically-treated OR whether you desire a color change (e.g., red henna) vs. conditioning alone (e.g., neutral henna). 4th henna treatment. Performed with henna melt from TheHairSheBang. hi, thanks for the post! 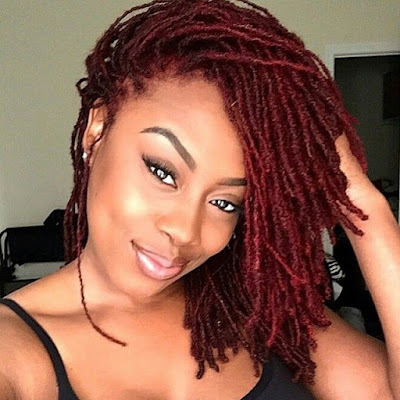 i am in the process of ordering henna and indigo cuz i have done the research and i would love to experience the benefits; question: have you actually noticed the thickness and strength of your hair increase/improve? @Karlene: Hey, you're welcome! Yes, I've definitely noticed a difference in the strength of my hair. It has increased. As for thickness, it is hard to tell at this point. Keep me updated on how you like henna! ok i will...i'm really excited to try it! I'm still looking around at recipies since they are so many! hey Loo, just giving you an update on the henna, i did it today using the recipies from henna for hair incorporating indigo as well. I didn't leave it in too long cause i started much l8r in the day than i wanted to but i must say, for the 2 1/2 hrs it still made my hair soft afterward and my curls were a little looser to me. but there was a WHOLE LOT of fine things in my hair even now after i've DC'd and everything so i'm not sure if it's the indigo or the henna, but next time i do it i will sift it! can't wait to do it again next month! No problem, I was wondering another thing though...can you do a henna treatment and aphogee close together? I am on a protective style challenge till May next year and so my hair will be in cornrows & twists for 3 weeks on so when I take it down I want to do my treatments. I was thinking about alternating them everytime I take down, because I'm thinking they more or less do the same thing.